Westminster, one of the greatest places in Colorado to raise a family. Filled with great schools and city parks, there’s something here for everyone. Almost 110,000 Coloradans call Westminster home split up among nearly 44,000 housing units. 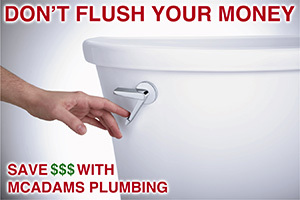 McAdams Plumbing is your first choice for plumbing repair in Westminster. Let me show you what we offer. McAdams Plumbing provides the full spectrum of drain cleaning services from a clogged toilet or kitchen sink, to a main sewer line backup. We also provide high pressure water jetting services for those those pipes too full of residue. So if you have a slow draining tub or shower, or an emergency main line backup, we’ll be here to get you squared away. There’s a lot more plumbing in the home then just what’s listed here, but don’t worry, we can handle it. Just give us a call! Water can cause an amazing amount of damage in a very short time. That’s why it is so important to have leaks fixed as soon as you notice them. 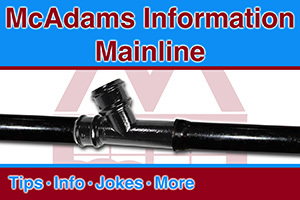 At McAdams Plumbing, we hunt down leaks at the source, fixing it right the first time. If we have to open an access in your wall to find the leak, we’ll keep it as minimal as possible, that’s the McAdams Plumbing promise. One of the best ways to avoid leak damage is with a WaterCop Automatic Water Shut-Off Valve. The WaterCop is installed on the main incoming water line. Wireless sensors are placed around your home and if they come in contact with water they send a signal to the WaterCop which shuts down all the incoming water. It’s a great device! McAdams Plumbing is your certified WaterCop installer. Many insurance companies offer discounts to folks who install a WaterCop. For more information give us a call. Thanks for taking the time to learn about McAdams Plumbing. We hope that you’ll trust us to offer you high quality, fair priced service.